The Chargers look to bounce back from last week’s loss this Sunday at Lambeau Field against the Packers. While the Chargers have been struggling offensively the Packers have been great on offense. Green Bay is coming off their highest-scoring game in nearly two seasons. But the Packers haven’t played against a defense nearly as good as San Diego’s so far this season having played the Eagles and Giants. Despite the solid play of the Packers’ offense of late, the edge goes to the San Diego defense. Green Bay will have trouble picking up the variety of blitzes that San Diego will be sending at QB Brett Favre. The Chargers must get pressure on Favre and if they can get some hits on him early that will bode well for them later on in the game. Favre does not always play well when he doesn’t have time to throw, in fact that is when he throws a majority of his interceptions. The Chargers definitely need to win the turnover battle this weekend. The defense should be able to create two or three but the offense, specifically QB Philip Rivers must limit their turnovers. 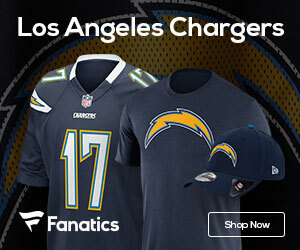 Rivers is responsible for all five of San Diego’s turnovers this year; three coming on interceptions and the other two were fumbles. Not only does the San Diego offense have to limit their turnovers, they have to pick it up in general. After just two weeks of the season, the Chargers are at the bottom of almost every offensive category, most notably ranking 24th in scoring with just 28 total points. That is a far cry from last year when the Chargers led the league in scoring averaging 30.8 points per game. The Chargers should improve offensively this weekend because of the sheer fact that Green Bay’s defense is not nearly as solid as Chicago’s or New England’s. The Chargers should be able to establish the running game early with RB LaDainian Tomlinson. Also don’t be surprised if RB Michael Turner starts to get a few more carries early to help him get into a rhythm. San Diego definitely has the advantage when it comes to their offensive line vs. the Packers’ front seven. 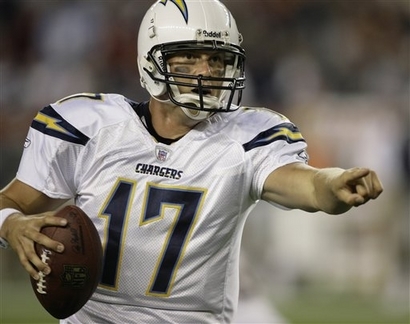 If the bolts are able to establish the running game early, look for QB Philip Rivers to break out of his slump. The Packer secondary has played well so far against one solid QB (Donovan McNabb) and one CRY BABY QB (Eli Manning). The entire defense has looked good too, as they have allowed just 13 points in each of their contests so far. But the biggest difference between the Packers’ previous two opponents’ offenses and San Diego’s, is a much better offensive line and running game. Another thing that bodes well for San Diego is Green Bay’s injury issues. Among a plethora of players who missed practice this week in Green Bay were CB Al Harris and CB Charles Woodson. They are both listed as probable for Sunday’s game. The Chargers will definitely be without WR Eric Parker. ILB Matt Wilhelm is listed as doubtful with an injured calf. The other starting ILB, Stephen Cooper is listed as probable with a neck injury. OT Shane Olivea is listed as questionable because of his back. TE Antonio Gates is on the injury list as probable. Check back here on Saturday night and Sunday morning for an updated injury report.